1. Roehrborn CG, Bartsch G, Kirby R, et al. Guidelines for the diagnosis and treatment of benign prostatic hyperplasia: a comparative international overview. 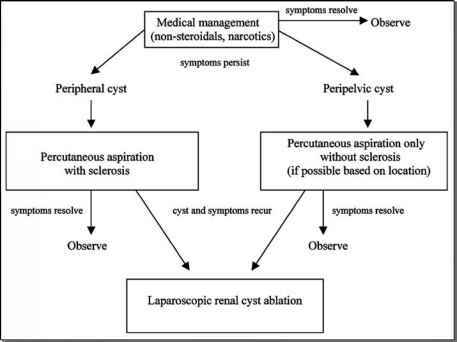 Urology 2001; 58:642-650. 2. Millin T. Retropubic Urinary Surgery. London: Livingstone, 1947. 3. Lu-Yao GL, Barry MJ, Chang CH, et al. Transurethral resection of the prostate among Medicare beneficiaries in the United States: time trends and outcomes. Urology 1994; 44:692-696. 4. McNicholas TA. Management of symptomatic BPH in the UK: who is treated and how? Eur Urol 1999; 36:33-39. 5. Gordon NS, Hadlow G, Knight E, Mohan P. Transurethral resection of the prostate: still the gold standard. Aust NZ J Surg 1997; 67:354-357. 6. Kuntz R, Lehrich K. Transurethral holmium laser enucleation versus transvesical open enucleation for prostate adenoma greater than 100 g. A randomized prospective trial of 120 patients. J Urol 2002; 168:1465-1469. 7. Moody JA, Lingeman JE. Holmium laser enucleation for prostate adenoma greater than 100 g: comparison to open prostatectomy. J Urol 2001; 165:459. 8. AUA Practice Guidelines Committee. AUA guideline on management of benign prostatic hyperplasia (2003). Chapter 1: Diagnosis and treatment recommendations. J Urol 2003; 170:530-547. 9. Han M, Alfert H, Partin A. Retropubic and suprapubic open prostatectomy. In: Walsh PC, Retik AB, Vaughan ED, Wein AJ, eds. Campbell's Urology. Vol. 2. 8th ed. Philadelphia: Saunders (Chapter 41). 10. Tubaro A, Vicentini R, Renzetti R, Miano L. Invasive and minimally invasive treatment modalities for lower urinary tract symptoms: what are the relevant differences in randomized controlled trials? Eur Urol 2000; 38:7-17. 11. McConnell JD, Barry MJ, Bruskewitz RC, et al. Benign Prostatic Hyperplasia: Diagnosis and Treatment. Clinical Practice Guideline AHCPR Publications No. 94-0582. Rockville: Agency for Health Care Policy and Research, Public Health Service, U.S. Department of Health and Human Services, 1994. 12. Tubaro A, Carter S, Hind A, Vicentini C, Miano L. A prospective study of the safety and efficacy of suprapubic transvesical prostatectomy in patients with benign prostatic hyperplasia. J Urol 2001; 166:172-176. 13. Gilling PJ, Cass CB, Cresswell MD, Fraundorfer MR. Holmium laser resection of the prostate: preliminary results of a new method for the treatment of the benign prostatic hyperplasia. Urology 1996; 47:48. 14. Gilling PJ, Mackey M, Cresswell M, Kennett K, Kabalin JN, Fraundorfer MR. Holmium laser versus transurethral resection of the prostate: a randomized prospective trial with 1-year followup. J Urol 1999; 162:1640-1644. 15. Kuo RL, Kim SC, Paterson RF, Ligeman JE, Munch LC. Holmium laser enucleation of the prostate (Holep): a minimally invasive alternative to open simple prostatectomy. J Urol 2003; suppl 169; 111 Abstract V430. 16. Kuo RL, Kim SC, Paterson RF, Watkins S, Steele RE, Lingerman JE. Holmium laser enucleation of the prostate (Holep): the methodist hospital experience with >75 gram enucleations. J Urol 2003; suppl 169; 389 Abstract 1452. 17. Chen SS, Hong JG, Hsiao YJ, et al. The correlation between clinical outcome and residual prostatic weight ratio alter transurethral resection of the prostate for benign prostatic hyperplasia. BJU Int 2000; 85:79. 18. Mariano MB, Graziottin TM, Tefilli MV. Laparoscopic prostatectomy with vascular control for benign prostatic hyperplasia. J Urol 2002; 167:2528-2529. 19. Baumert H, Gholami SS, Bermudez H, et al. Laparoscopic simple prostatectomy. J Urol 2003; suppl 169; 109 Abstract V423. 20. van Velthoven R, Peltier A, Laguna MP, et al. Laparoscopic extraperitoneal adenomectomy (Millin): pilot study on feasibility. Eur Urol 2004; 45:103-109. 21. Nadler Robert B, Blunt Lynn W Jr., User Herbert M, Vallancien G. Preperitoneal laparoscopic simple prostatectomy. Urology 2004; 63:778.e9-778e10. 22. Sotelo R, Spaliviero M, Garcia-Segui A, et al. Laparoscopic retropubic simple prostatectomy. J Urol 2005; 173:757-760. 23. Sotelo R, Garcia A, Hanssen A, et al. Prostatectomia Radical Laparoscopica: Reporte de los primeros 20 casos. Urol Panam Ene-Mar 2003; 15(1):42-46. 24. Njinou Ngninkeu B, Gaston R, Piechaud T, Lorge F. Laparoscopic prostatic adenomectomy assisted by index digital finger: a preliminary report. J Endourol 2003; 17(suppl 1); Abstract MP19.28.